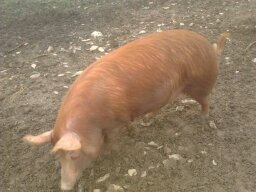 Gubbeen has a mixture of breed including saddleback, tamworth, duroc amongst other ( and a few crosses) kept on straw in pens with fresh are and a great view of fastnet! 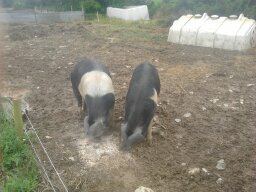 some outdoor pigs also kept on the farm! 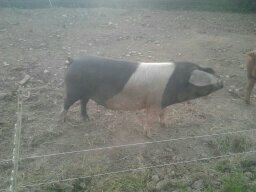 Nathan wall is largely using rare breed saddleback pigs, Check out the photo of his middle white pig.